Poor ground conditions can be a big issue for construction of structures. the engineering properties of the soil can be improved by various methods to make it viable for the construction of any structure. 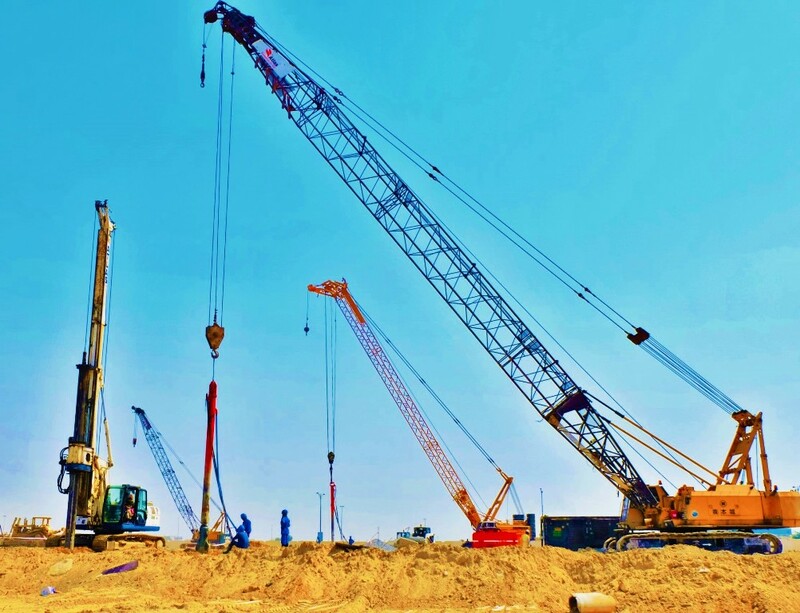 The characteristics of soil which most affect the process of construction are strength and compressibility. Both these properties can be improved by reducing the volume of the voids in the soil mass. Compaction is a dynamic process used to reduce the volume of soil by expelling air. The moisture content is not altered significantly under normal circumstances. Compaction is most effective when applied to a thin layer because the energy dissipates with distance. Vibration is the most effective method of compacting loose coarse-grained soils. Vibration can be utilized most effectively to improve the engineering properties of soil by compaction. Vibro compaction works in sand which can be compacted by inserting a vibro lance in the ground for a certain period of time and then retrieving it to allow the soil to disintegrate and reintegrate leaving it compacted for better performance. 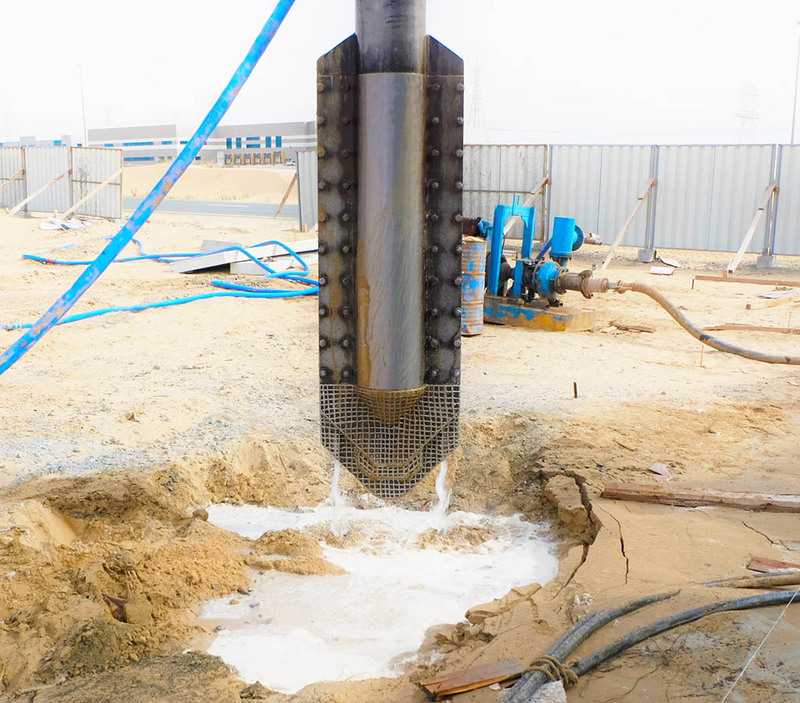 The vibro lance penetrates while vibrating through the sand layers with the aid of a water jet or air if required up to the required design depth. After a few minutes of standing time the vibro lance is retrieved slowly at equal intervals of depth and time. Throughout this time the sand compacts and the voids are filled with sand particles around the vibro lance. Due to this compaction there is subsidence on the top which is filled with more soil from the same area or imported from outside. Vibro replacement works the same way as vibro compaction except that the displaced soil due to the vibration is replaced by stones. Vibro compaction is not much effective in soils having a high content of clay and silt. 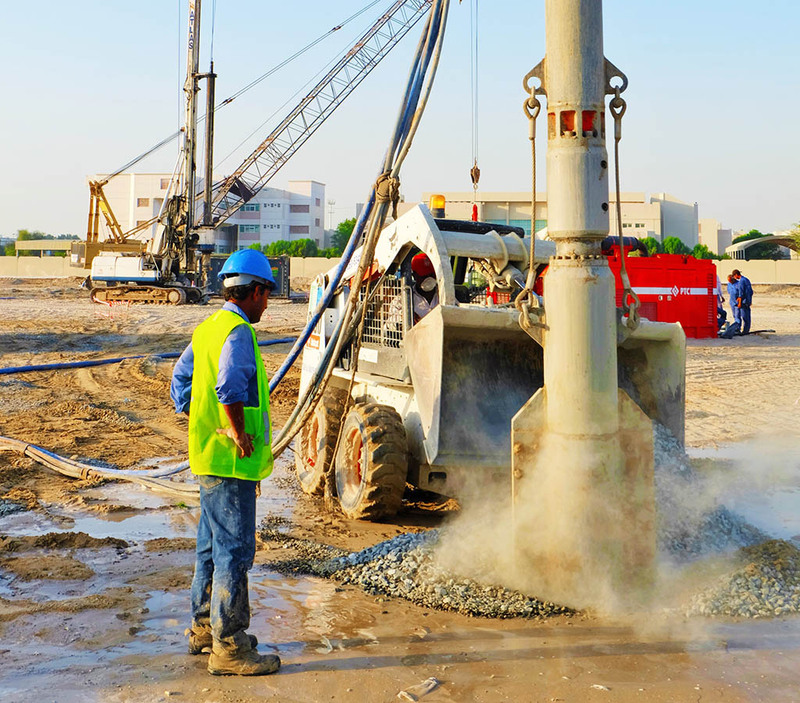 In clayey silty soils stone column is the most viable solution to improve the ground. Stone columns are constructed by putting stones at the location of the vibrocompaction throughout the process of vibro lance penetration. The stones are carried through the lance to the required depth. The standing time enables the stones to expand, creating a stone column and compacting the soil around the column. These stone columns act as vertical elements with compacted soil around them. Their efficiency can be tested by zone load and pate load tests.